Happy to share the news that my painting, Morn on West Grove, received the award of Honorable Mention at the July 2016 edition of the Starline Gallery 4th Fridays exhibition. 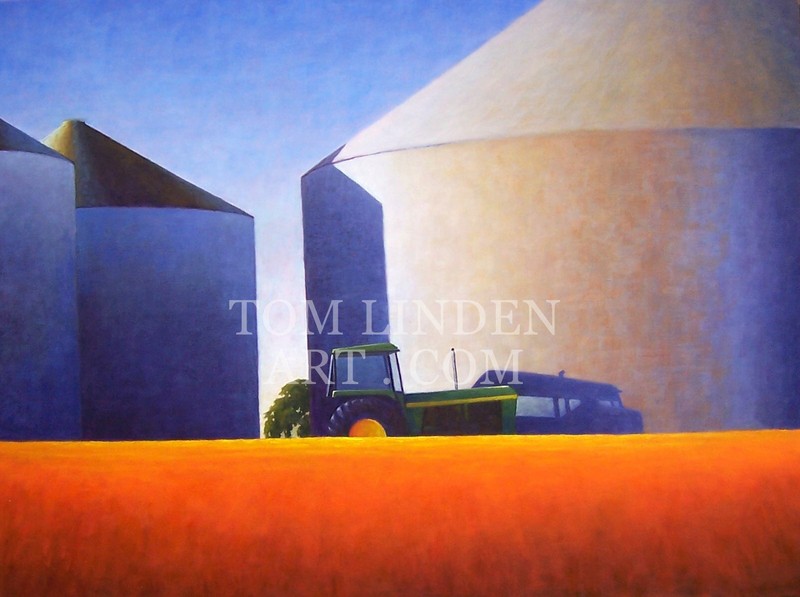 I am thrilled to report that my painting, Bin Deere, Done That 2, has been judged as a finalist in the annual Artists Magazine Best of 2013. From more than 6.000 entries, Bin Deere, Done That 2 is honored as one of the top 50 works in the Landscape / Still Life category. The winning works and the list of finalists will be published in the December issue of The Artists Magazine. 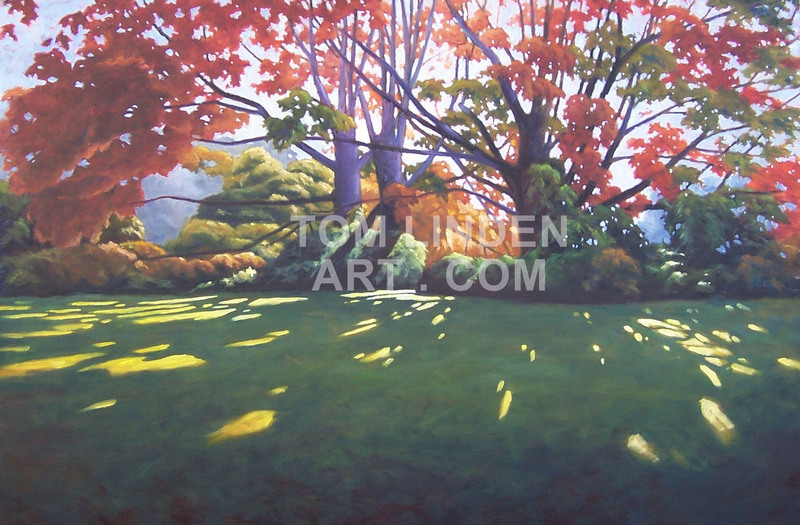 My painting, October Patterns, was awarded Best of Show at The Seasons on the Land Art Show and Benefit. This competition was sponsored by the Natural Land Institute. Paintings were due on Thursday morning and I needed a day to get my works photographed. So I traveled to Beloit for one last day of painting. I would like to have gotten a couple more days. 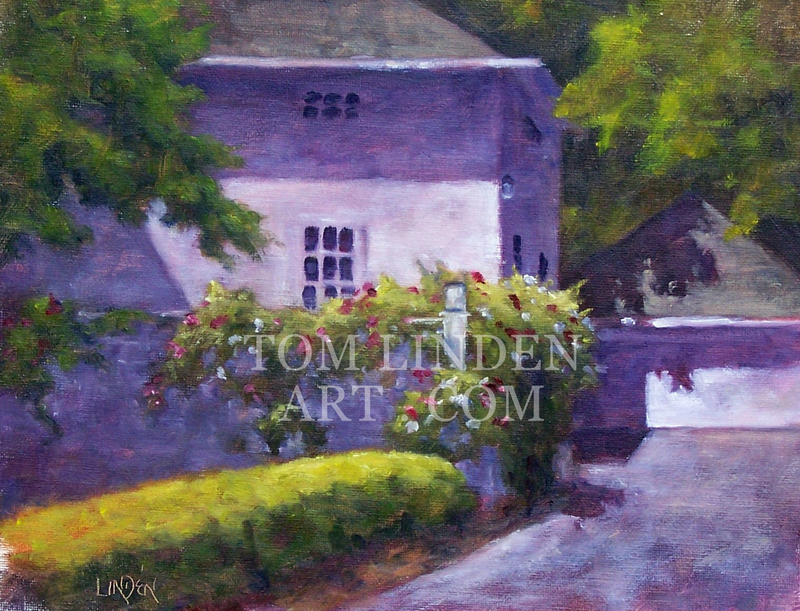 I find that the more I paint in an area, the more subject matter I find. I suppose that as I winnow through the design possibilities, the designs start to weave together and reveal greater opportunities. As I finished Mondays painting, I witnessed a design on the east side of the lagoon. I was tempted to paint it, but as I looked at it, I estimated that a morning rendition might be more dynamic. So I ventured up to Beloit early. 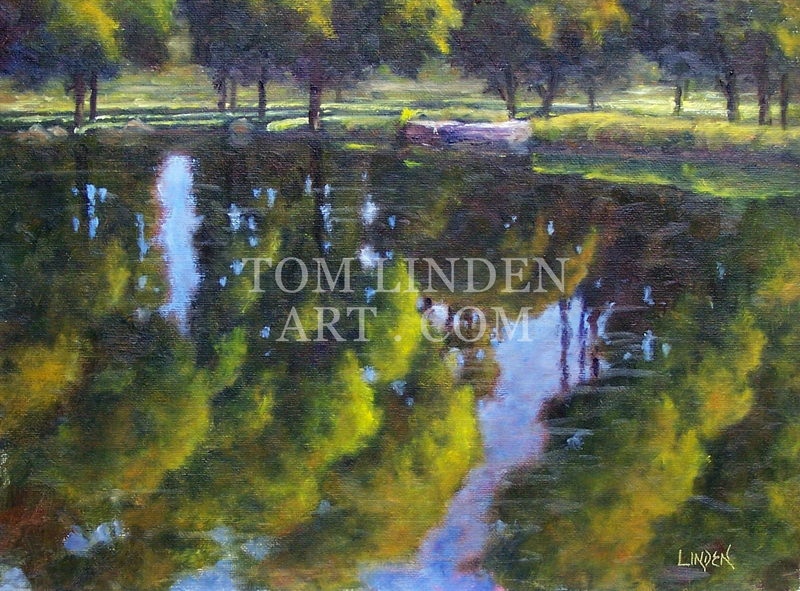 I had a 16″ x 20″ canvas panel in the car which I had brought in on the first day to be stamped. I was psyched to get this going and finished before noon. Tragedy. As I got to my spot, I checked the canvas panel before I started, thank goodness. It was not stamped. I suppose that in the confusion of stamping eight panels, the volunteer missed this one. The visitor center would not be open for another fifty minutes. Too long. I can not wait. I called hoping that, by some miracle, some one would be available to stamp the panel. That would only cost me about fifteen minutes of painting time. No such luck. I did have a 12″ x 16″ panel which was available AND stamped, so I went with that. 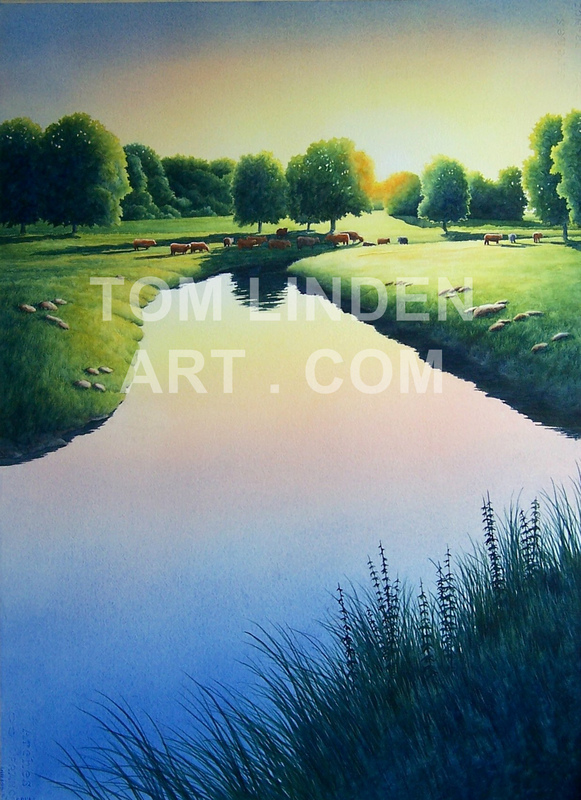 The design, the brushes, the paint went so smoothly, it was as though the painting created itself.The toughest part was that about three quarters of the way through the painting, the wind started to kick in and obliterated the quality of the reflections. To finish the work, I had to depend on my early brush notations and my fleeting memory. But I think that it came together. I was happy with the mornings effort and broke for lunch. I decided to venture over to the college campus. I thought that there might be an exciting view from the campus looking toward the park. Eh, it was alright but not a “Wow”. I meandered through campus and was about to move on when I came across this scene. I happened to look at the right time as sun broke through a cloud and flashed light onto the flowers. They jumped at me. I had been past this house at least six times over the past week and did not see this possibility. But today was different. I studied it for a few moments and settled on the design. I took a little longer on this piece than I probably should have, but I think that the results were worth it. Others did too. The painting, Stately Blooms, was honored with a Third Place Award and more humbling, The Peoples Choice Award. This was a well run event. Great staff and volunteers. Supportive community. I already have thoughts for and plan to participate next year. Beloit, thank you for a memorable week of painting. 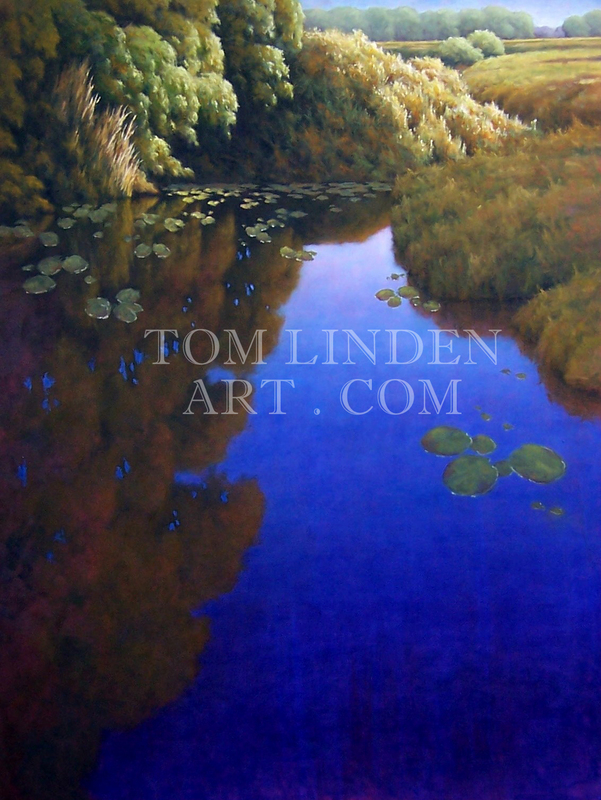 Beside Still Waters, Watercolor on 140# Arches CP 29" x 21"
My original watercolor painting, Beside Still Waters, is included in the 27th annual Illinois Watercolor Society Juried Exhibition. The exhibit is at The Next Picture Show, Dixon, Illinois (www.TheNextPictureShow.com) and runs June 11 – July 18, 2011. This is the third consecutive year that I have work juried into this competition and have now earned Signature Status with the Illinois Watercolor Society. 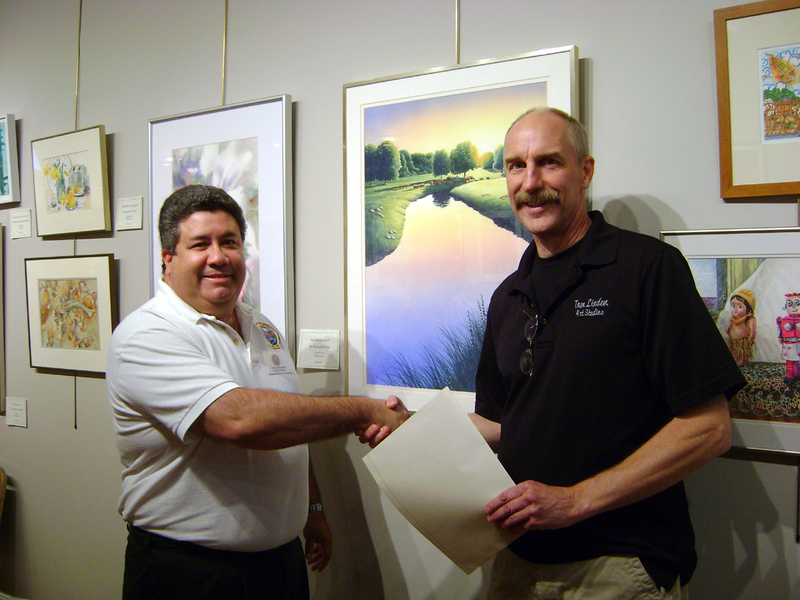 Tony Armendariz, President of the Illinois Watercolor Society, presenting me (a.k.a. The Invisible Man) with my Signature Status Award - June 11, 2011.